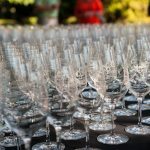 Auction of Washington Wines Next Month! - Write for Wine: It's Wine O'Clock Somewhere!Write for Wine: It's Wine O'Clock Somewhere! Auction of Washington Wines Next Month! The most spectacular, glamorous and fun-filled summer wine weekend event, the Auction of Washington Wines, is just around the corner, Aug. 16-18 — a non-profit wine event focused on elevating awareness of Washington state wines, with proceeds benefitting Seattle Children’s Hospital and the Viticulture and Enology program at Washington State University. This August marks the 31st year of the event, which has raised more than $41 million since 1988 and is ranked in the Top 5 U.S. Charity Auctions. Purchase tickets for all weekend events here. We can’t wait! The weekend kicks off early with the picnic and barrel auction. We have attended the picnic and auction over several years, and always had a wonderful time tasting the stellar wines of Washington, talking to winemakers, and bidding on futures. We have said this many times, and will say it many times again – Washington State makes fine wine! This year, 30 wineries — five more than in the past — will be pouring more than 100 wines; in most cases, you will have an opportunity to talk to the winemakers directly, hear their stories, and find out what makes their wines special. You can find the full line-up here. You can bid at the Barrel Auction to secure future wine releases or bid on wine packages in the silent auction. 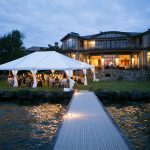 In one evening, six dinners featuring winemakers will take place at private estates around Puget Sound. Enjoy a gourmet meal created by a guest chef paired with fabulous Washington wine. Participating wineries include Reynvaan Family Vineyards, Leonetti Cellar, Quilceda Creek and many more. But get your tickets soon because two dinners are already sold out! The Columbia Winery Charity 10K Race and 5K Run/Walk & Kids Dash provides fun for the whole family through a scenic course through the heart of Woodinville wine country. This event raises funds for uncompensated care at Seattle Children’s Hospital. Located at the beautiful Chateau Ste. Michelle, the grand finale features a multi-course dinner prepared by talented Seattle-area chefs, and paired with excellent wines from special winery cellars. Each table is hosted by a Washington state winemaker. 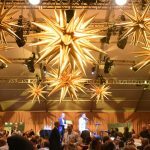 The evening is also filled with one-of-a-kind auction lots focusing on wine, food, travel and unique experiences. You can find the locations, tickets and further details for all events at the Auction of Washington Wines website. This entry was posted in Columbia Valley, Horse Heaven Hills, Lake Chelan Valley, Red Mountain, Spokane, Walla Walla, Washington, Wine, Wine Events, Woodinville, Yakima Valley and tagged Auction of Washington Wine, Chateau Ste. Michelle, Picnic & Barrel Auction, Washington wine, Washington wineries, wine, wineries, Woodinville by Margot. Bookmark the permalink.